Wil Johnson is a British actor who has worked on stage, film, and television. 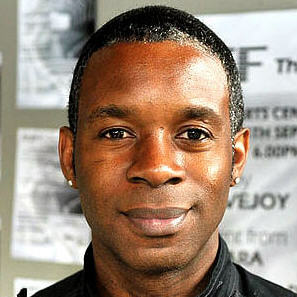 He is best known for the television work on series such as Waking the Dead and Babyfather. He played the title character in the Royal Lyceum Theatre Company’s Othello in 2004, and played Dom Andrews in Emmerdale from 2012 to 2014. His movie credits include Adulthood, In a Better World, Pimp, and Anuvahood. Born Wilbert Charles Johnson on April 18, 1965 in Muswell Hill, London, he was raised in Tottenham. His father worked for UPS and his mother invested in stocks. His first professional acting role came in the play Four Seasons at the 1985 Edinburgh Festival Fringe. He was married to Alexandra Spiegel from 2001 to 2010. Wil is the father of seven children. Children: He has seven children, including son Joachim River (JJ), and twin daughters Rain and Zillah-May. *He was born on April 18, 1965 in Muswell Hill, London, England, UK. *He attended Moutview Drama School in Crouch End, London.